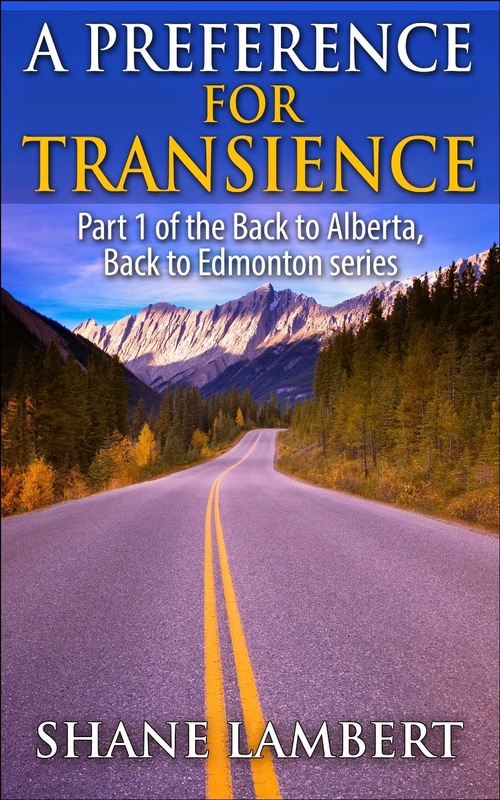 Shane Lambert is the author of the coming-of-age novel A Preference for Transience. My name is Shane Lambert and I am a freelance writer based out of Edmonton, Alberta. I'm in my late 30s and aspiring to succeed as a fiction writer. The protagonist develops a case of wanderlust that he finds compelling. He gives up stable employment and his girlfriend in order to pursue that desire. However economic limitations lead him to a resort town job and staff accommodation in the Canadian Rockies first. I thought it would be most appreciated by young adults and teens who may be developing wanderlust themselves. However so far it's an older crowd that has generally enjoyed it. What inspired you to write about an individual who is dissatisfied with his life and seeks out a major change (in this case, a move to a resort town)? Many things. Personal desire to fictionalize true events from my life is one motive for sure. Tell us a bit about our protagonist, Shayne Christopher. He’s a man in his 20s that isn’t resigned to take the common road through life. He's intelligent, hard working, and perceptive. Did your background in hospitality management help you write about someone (Shayne) employed in the travel industry? Not so much the management side however experience in entry-level jobs helped in constructing the novel. Laughs and tears I think but thorough entertainment for sure. It has not been read by many however the people that have read it have been emphatic about how much they have enjoyed it. I turn 37 years old tomorrow and I’m kind of a homebug now but when I was in my mid-20s I used to lay awake at night, with a twitchy energy in my legs and butterflies in my stomach, desiring something that was different than the reasonable, responsible, and career-oriented options that I saw before me.